Cindy has been in the medical field for over 15 years, and has experience teaching the Medical Assistant program at Allied Health Careers for 2 years. She joined NorthStar Surgery in January of 2010. 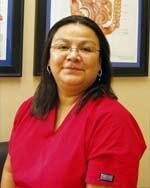 She is responsible for making your appointments, scheduling your surgery, and the handling of your medical records. She will assist in checking you in and out of the office during your visit. She may also assist the physicians during the examinations and procedures done in the office. She handles most of the administrative duties of the office, and she will be the one to ask for if you call with any clinical questions. Mieka is a 2012 graduate from Virginia College at Austin. She joined the healthcare billing field shortly after graduating. 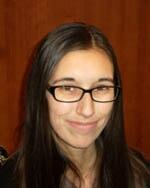 She joined NorthStar Surgery Specialists in November 2013. She is a certified professional coder through AAPC. She was also president of the Medical billing and coding association at Virginia College at Austin. She is a proud mother of two. As a billing coordinator she evaluates medical documentation to assign proper coding, and is responsible for any billing/insurance questions you may have. She also helps with front office duties, such as patient check in/check out and scheduling appointments.